Reckless drivers who cause death on our roads now face life in prison after a hard-hitting Johnston Press campaign highlighted the scandal of lenient sentences. Life sentences are being introduced for those who cause death by dangerous or careless driving as part of UK Government plans to curb road crimes. Last year the Drive for Justice campaign, highlighted by this newspaper and its sister titles across the country, revealed drivers who caused death on the road had been sentenced to an average of five years with many escaping jail altogether. 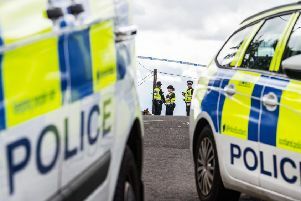 The investigation also showed killer drivers had claimed almost 300 lives in Scotland since 2005, with almost 100 of those convicted of killing walking free from court. Drive for Justice, which gave bereaved families a voice in their call for tougher sentencing, also found that no one had ever been handed the maximum 14-year sentence for dangerous driving. Johnston Press submitted its coverage and a petition to the Government as part of its consultation into driving offences and penalties. The UK-wide consultation received an overwhelming response from those in favour of increased penalties including victims, their families, politicians and road safety groups. Now, the Ministry of Justice has confirmed the sentence for causing death by dangerous driving will increase from 14 years to a life sentence. Proposals also say that the maximum penalty for causing death by careless driving while under the influence of drink or drugs or while speeding or using a mobile phone will also jump from 14 years to life. The Scottish Government has confirmed that any changes announced by Westminster will apply in Scotland. Late last year, First Minister of Scotland Nicola Sturgeon endorsed the Drive for Justice campaign. She said: “Those who drive dangerously and kill people ruin lives, not just of those who die but also their family and friends.